Arsene Wenger believes Unai Emery’s summer signings have brought ‘defensive stability’ back to Arsenal this season. Emery took on the unenviable task of succeeding Wenger in the summer and has adapted seamlessly in his opening few months in north London, leading Arsenal on a 22-match unbeaten streak from August through to December. The Spaniard, desperate to bolster his defensive options, brought in Bernd Leno, Sokratis Papastathopoulos, Stephan Lichtsteiner and Lucas Torreira, and Arsenal’s summer recruits have all impressed to varying degrees. However, back-to-back defeats at the hands of Southampton and Tottenham in the Premier League and Carabao Cup respectively have have threatened to spoil the party during a busy winter period for the Gunners. 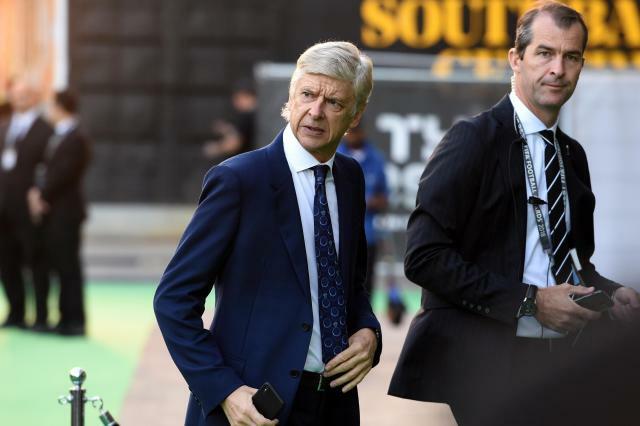 Be the first to comment on "Former Arsenal boss reveals how Emery has transformed Gunners"